Vanessa Shaw is an experienced consultant, trainer and active speaker at leadership conferences. 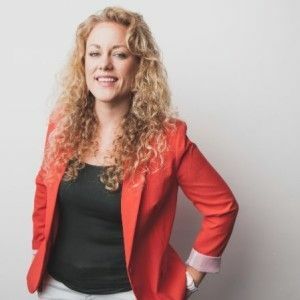 She is a work futurist on a mission to help organizations and teams collaborate virtually in a way that builds trust and fosters innovation so that they can impact positive change in their work. Vanessa helps clients to navigate the digital revolution by implementing the right technology for their team. She then helps them to create virtually team environments that bring to life the human side of tech. She has a Bachelor’s in Communications from the University of California, Santa Cruz. And graduated top 10% national honors. During her career, she has facilitated projects in the US, Latin America, Europe and SE Asia with multinationals, non-profits, the United Nations Economic and Social Council, White House, and over 50 universities. Originally from the Silicon Valley, Vanessa Shaw has lived abroad since 2011, currently enjoying Barcelona. You can find her on twitter and the web at Human Side of Tech. Be resilient. When something is happening in an intercultural setting, that you don’t like or don’t understand, be able to get up and start over. Smile 🙂 Better yet, laugh! What’s the funny side of what just happened? I really enjoyed the podcast. Light and fun.